Bikes4Sale, the first bike portal in India, is in the business of selling bikes since 2007. So far, we have sold more than 2 lakh two-wheelers. We help you get a better market price for your bike from genuine customers. 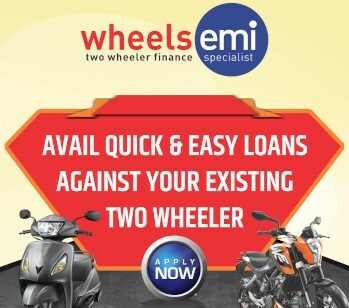 Make use of our our add-on services like One Year Extended Warranty and Used Two-wheeler Finance. Additional details like condition of bike, documents, accessories, reason for selling etc. 2,00,000 bikes and still counting. RTO Ownership Transfer service is currently available in Bangalore, Chennai, Hyderabad, Mumbai, Pune, Delhi, Ghaziabad, Noida, Faridabad and Gurgaon. Why Sell With Bikes4Sale ? • Started in 2007 as the first complete bike portal in India. • More than 2 lakh bikes sold till date. • Has served more than 3.3 crore customers. • Usual time to sell between 1 day to 21 days. • Both Basic and Premium plans available. • No commission on sale. • Loan Assistance for Buyers. Excellent portal for selling and buying bikes. I recently sold my Honda Activa and it was a very smooth deal. Buyer also was happy with the whole transaction. Would give it 5 star rating. Got lot of good responses and I felt paying for premium service was worth while. Very effective platform. Found the right buyer in less than 2 days. Really happy with the site. This site was very useful. I got requests for my bike within 2 days. Very happy with the service provided.